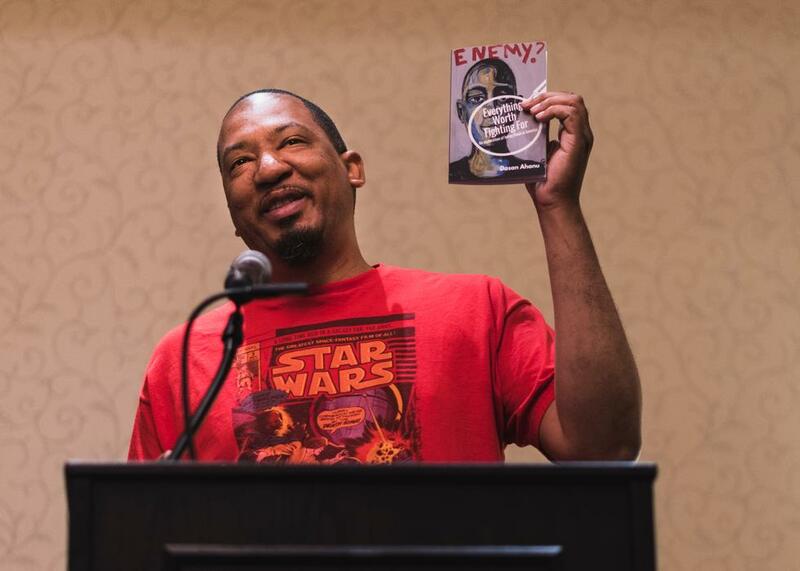 Christopher Massenburg, better known as Dasan Ahanu, is a public speaker, organizer, workshop facilitator, poet, spoken word performer, educator, songwriter, writer, emcee, and loyal Hip Hop head born and raised in Raleigh, North Carolina. 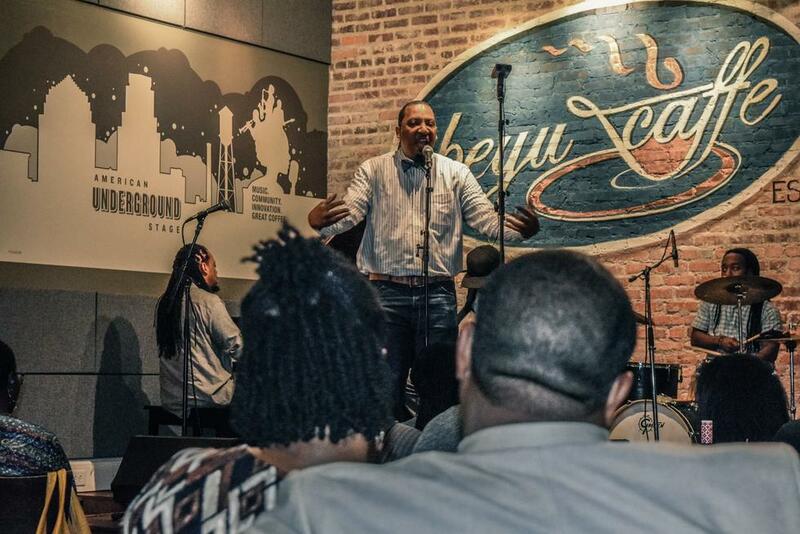 In addition to performing, Dasan has hosted many poetry, jazz, Hip Hop, and cultural arts events across the state. He is one of the founders of Black Poetry Theatre (BPT) where he has been a writer, director, producer, and cast member for their productions. As an active participant in poetry slam, Dasan has competed regionally and nationally as a founding member and coach of Durham, NC’s own Bull City Slam Team. In 2010 and 2014, Ahanu led the Bull City Slam Team in winning the Southern Fried Southeastern Regional Poetry Slam, the largest regional poetry slam in the country. He also led the team to a 3rd place finish at the 2010 National Poetry Slam and a 2nd place finish in Group Piece Finals at the 2012 National Poetry Slam. Believing that “with great talent comes great responsibility,” Dasan has also used his skill and resources to aid in developing the community and further social change. He has worked as an organizer on such issues as war, social injustice, workers rights, domestic violence and sexual assault; planned and facilitated community programs for Duke University's Center for Documentary Studies; conducted creative writing and performance workshops at middle schools, high schools, and colleges throughout North Carolina; and spent time working with at-risk/court-involved youth. Dasan has been a speaker or workshop facilitator at a number of notable conferences and symposiums. In addition to advocating for further support of poetry and spoken word programming, he has spoken on topics such as the impact of cultural arts programming, the arts and social justice, Hip Hop culture, Hip Hop pedagogy, and the arts as a tool for literacy. 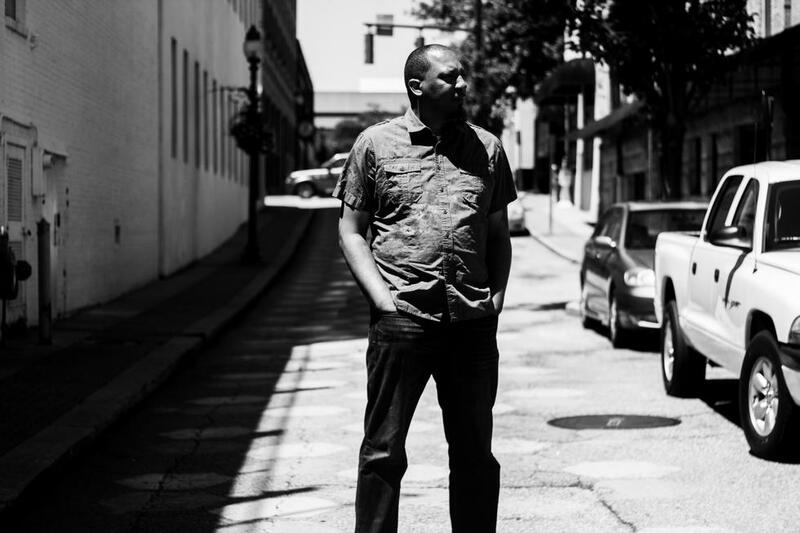 As a resident artist with the St, Joseph’s Historic Foundation/Hayti Heritage Center in Durham, NC he has developed poetry and spoken word programming for youth and adults and worked to grow the Triangle’s arts community. In 2004 he was awarded an Indy Arts Award by Independent Weekly Magazine for his work in arts and activism. Then in 2015 he was awarded the honor again, the first time in the award's history that happened. Dasan has created his own series of shows and collaborated with local promoters to provide some of the best arts and music events in NC. His work has been featured on National Public Radio (NPR) where he has been noted for his appearances on “News and Notes with Ed Gordon” and “State of Things with Frank Stacio.” His writing has been featured in online and print publications. He has been showcased on NBC 17 in for his work with poetry slam. He is featured on the third season of Lexus Verses and Flow aired on TV One. He was featured in a documentary entitled, “Poet Son” that aired on WUNC-TV as a part of the North Carolina Visions film series. In 2007 he signed with NC independent record label Amp Truth Records and teamed with up and coming music producer Picasso to form The Jim Crow Jackson Experiment. Their self-titled debut album was an amazing blend of spoken word, rap, soul, reggae, and blues. The album showcased both artists’ unique talents and was released both domestically and internationally. As a songwriter and recording artist, Dasan continues to record and release music with notable emcees, vocalists, and musicians from NC and along the east coast. Dasan has released three full-length books of poetry entitled, The Innovator, Freedom Papers, and Everything Worth Fighting For: An Exploration of Being Black in America, and toured with his last two spoken word CDs The Darkest Eye and Catharsis. His most recent spoken word CD, The Last Temptation Before Sunrise is set for official release soon. 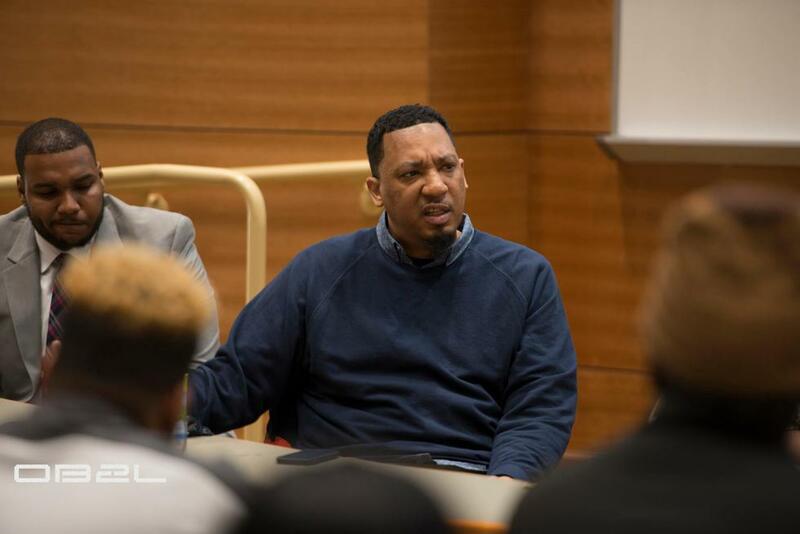 While an Assistant Professor of English at Saint Augustine’s University in Raleigh, NC, Dasan developed workshops and programming for the English Department while also editing the campus literary magazine Inside Out. He has also developed new curriculum for the English Department, Liberal Studies Department, and Honors Program. He has been active in student development as a member of the Freshman Writing Initiative, a grant supported initiative established to foster student success and nurture student writing and critical thinking. He has organized colloquiums, speaker series, and conferences. His academic work is focused on critical writing, creative writing, and popular culture. Dasan is a member of Black Jedi Zulu, a non-profit community organization that seeks to serve the community while also fostering greater cultural awareness of Hip Hop. He was awarded a 2015-2016 Nasir Jones Fellowship with the Hip Hop Archive at Harvard University’s Hutchins Center for African & African American Research. Currently Dasan is a visiting professor at UNC Chapel Hill in Chapel Hill, NC teaching courses on Hip Hop and Black culture. The Secrets for Motivating, Educating, and Lifting the Spirit of African American Males Ernest H. Johnson, Ph.D.
On Culture: Why can’t we figure out how to talk about racism? Release: Dasan Ahanu + Picasso "Jim Crow Jackson Experiment"
"Putting Poetry Where his mouth is"
...Wrap it in the past of the ascended masters Gil Scott-Heron and Oscar Brown, Jr., before adding the original works crafted as next steps in the timeline. The Originals is both a tribute show and live mixtape. The project focuses on the works and lives of Gil Scott-Heron and Oscar Brown Jr via their poetry and their music. The ascended masters are considered two pioneers in both genres. Their contributions to American culture can be witnessed through conscious rap music, acid jazz, neo-soul, spoken word/performance poetry and any art that promote progressive thinking or action. Dasan and Tai are both observant students of the giants. Their own career arcs benefit from the lanes the two masters created. So this live mixtape experience is a celebration of the influences of the two masters and a showcase of Dasan and Tai’s additions to a rich artistic tradition. Featured at BAM Cafe (Brooklyn Academy of Music), Brooklyn Museum, National Black Writer’s Festival, Blue Note Jazz Club, Beyu Caffe, Durham County Library, and American International College. The HeavyLight Experience is a collective of creatives that came together from careers as solo artists, deejays, producers and collaborators. Their fusion of hip-hop, R&B, house, jazz and spoken word, combined with their experience, travels and regional sensibilities takes listeners on a well-rounded musical journey. The group consists of Dasan Ahanu (National radio and television, Poetry Slam Champion, Harvard Fellow, College Professor), Tai Allen (Indie soul artist, music curator, published poet, creative director at Vibe Vixen, Uptown and YRB), producer and MC/Poet Mic El, (Colette, Eric Roberson, Jarrard Anthony), and DJ CEO (Fuse TV’s United States of Hip-Hop, Brooklyn Beer + Wine Festival). Their first project, resulting from marathon sessions in the studio, is Ocean’s Eleven. The aptly titled EP seamlessly stitches their diverse talents together in a string of songs that’s reminiscent of the Native Tongue collective. This is a classic tale of who did what to you know who. A murder mystery, this play centers around a small theatre owned by John Williams and his famous wife and actress Anita St. John. It’s a tense time as John and his right hand man Frank prepare for an major upcoming production. In addition to the rigors of getting to opening day there is an actress ready for her big break, a newcomer who folks are still trying to figure out, and a shocking set of announcements. Everyone is on edge and then pushed over when in the midst of things Anita suddenly meets an untimely demise. Now there are five characters that are all suspects and an inspector determined to find out who the killer is. This is a situation where the audience has to pay close attention to all of the clues and make sure that they don’t trust anyone. “Man is a being with free will; therefore, each man is potentially good or evil, and it's up to him and only him (through his reasoning mind) to decide which he wants to be.” – writer Ayn Rand. A simple man, James is a hard worker. He comes from a family that has never had much so he is always looking for more. The only rule? He’s aint down for anything illegal. He has seen how that ends up so he would rather work construction, cut lawns, sell incense, clean buildings, or anything else for a dollar. College wasn’t his thing, so he has been out in these streets getting his hustle on. Question is, how long can he resist doing something wrong? With a beautiful temptress offering him the deal of a lifetime and his girlfriend at home wanting to start a family, will James go against his better judgment? Little does he know that his decisions will have an impact far greater than he could ever imagine. Every year, George and Hank meet to play chess. It is a friendly game between two old friends. They pick a quaint spot to play a game that they have played for centuries. Only this chess match has special significance and unique consequences. See these two players are God and the Devil and they are playing for a years advantage over Earth. The pieces are human lives, the board is a city of their choosing, and the strategy is simple…don’t lose. This year George has chosen Durham, NC as the place to play the game. Hank has chosen James as the key piece. Faith will be tested, good and evil will battle, and lives will never be the same. HERstory Through HIS Eyes is a story of strength, overcoming and new possibilities. The story centers on Kim and Tina, two women who have survived physical and sexual abuse. Kim is learning to move on from a marriage crumbled by physical and mental abuse. When her husband returns claiming to be a changed man, she struggles with forgiving him and forgiving herself. Tina has met the man of her dreams. Still, she is having a hard time being open and intimate with him. A survivor of sexual assault, she struggles with trust and vulnerability in the face of this new relationship. Both women find healing through their friendship and poetry. Their story is told by David, a close friend and ally who finds his own courage in seeing their resilience. This production give the audience some insight into the lives of survivors. 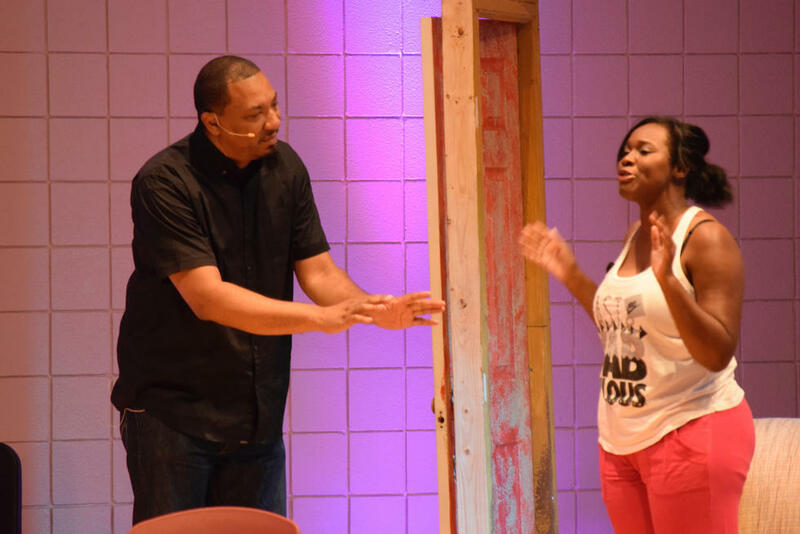 Enhanced by poetry and tied together by narration and song, this play seeks to challenge attitudes, values, behaviors, and misconceptions about sexual assault and domestic violence in hopes to decrease assaults and increase awareness. 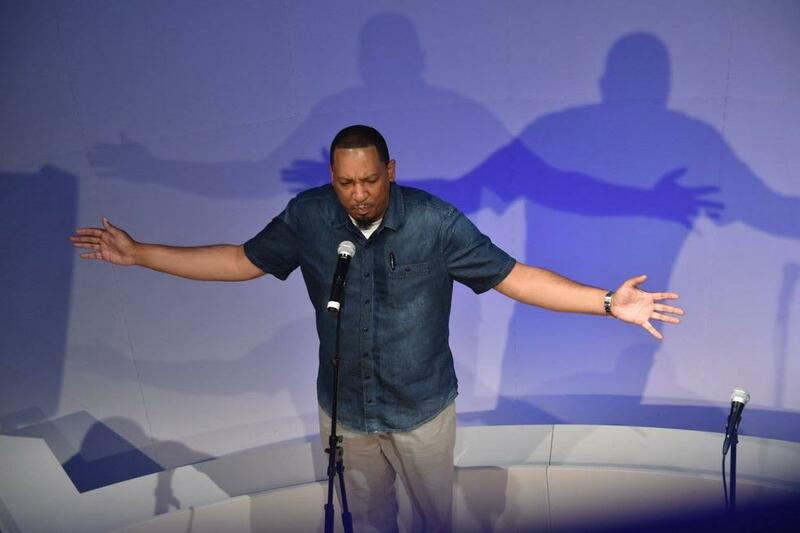 Confessions of a Lounge Singer is a one man play written and performed by Dasan Ahanu. Set in the ‘60s it follows the life of popular lounge singer Earl “Treetops” Johnson as he struggles to hold onto his dreams, find love, meet expectation s and satisfy his goon of a boss. Not only a fictitious representation of the lounge scene it is a metaphor for spoken word today. Many poets come to find their voice in lounges or coffee shops sharing their work at the open mic and gaining popularity with each new piece. They soon feel the tug of their art at their soul. It leaves them seeking to balance the pull of home and the community they love (City), life and personal relationships (Songbird), and the pursuit of their own aspirations and dreams. Come take this journey inside the soul of a lounge sin...I mean poet. Definition of a Hero is a play that deals with the perceptions people have of heroes while also examining the complex relationships between fathers and sons. It centers on three young men, all college students, as they are pushed to complete a difficult assignment given by a compassionate professor. Through the completion of the assignment they are able to come to their own understanding of what a hero truly is and recognize who are the heroes in their lives. A inspirational story, it is told in a combination of rhyme, rhythm, and music coupled with the artist’s original and sincere words. *Inquiry and Booking can be done through the contact page on this website. "Shots Fired: Examining Hip Hop's Lyrical Cannon" explores the artistry of Hip Hop’s lyricists, the qualities that define an emcee, and the role of lyricism today. The lecture focuses on what it means to be a lyricist, what function that role plays in Hip Hop, and why it is important to look at lyricism as a canon. It pushes the audience to think about about canon in a way that isn’t reliant on particular artists or particular songs. It also seeks to show how lyricism continues to hold it’s place in Hip Hop today (in the underground, in commercial music, in battle rap, and in spoken word). Based on reasearch done as the Nasir Jones Fellow with Hip Hop Archive and Research Institute at the Hutchins Center for African and African American Research at Harvard University. “Cultural Arts as an Alternative” addresses the need for greater support of arts based programs. It notes the impact of pop culture and sub-culture on today's youth. With Hip Hop as a prime example, it is evident how much cultural identity means to today's generation. Understanding and embracing this reality opens us up to new ways of empowering young people using “voice” as a vehicle for self expression. Bridging gaps, combating commercialism, materialism, and commodification by providing history and context, and fostering learning and literacy are all possible outcomes. In facilitated workshops for SCALE, The Teaching Fellows Program at UNC, Duke University’s Literacy Through Photography Program, the St. Joseph’s Historic Foundation/Hayti Heritage Center, and other organizations I have stressed the potential of creative writing and other arts as an alternative for drugs, alcohol, and illiteracy. The arts have always been a powerful tool and today's youth need to be equipped with it. Through the arts they can develop a passion for knowledge, a thirst for learning, leadership skills, confidence, critical thinking skills, and the ability to express their thoughts and ideas. “Radical Art and Activism” There is power, beauty, and resilience in voices from the edges. Imagine the art that can come from them and what impact it can have. Can it be a tool for change? This talk was first presented at TEDxDurham. It outlines how artists should be and can be included in social justice work. It also speaks to how effective a movement strategy that integrates art and culture can be in addressing critical issues and transforming communities. “The 4 Elements of Hip Hop Education” focuses on the use of Hip Hop Culture and its impact as a teaching tool in the classroom. In the session, we will analyze and discuss various ways of using Hip Hop in the classroom, models and approaches to integrating Hip Hop into curriculum, interdisciplinary approaches to lesson creation, and tactics for research gathering and use of information. This session hopes to give its participants a new perspective on Hip Hop as pedagogy and empower educators to use Hip Hop as a teaching tool. When completed, each participant should have an understanding of the four elements to Hip Hop Education. “The Power of Poetry/Art of Spoken Word” recognizes that poetry is a powerfully expressive art form. From Robert Frost to Black Ice, poetry has been a way for emotions, thoughts, ideas, and insights to be shared. The words are not just confined to the page. Venues across the country provide space for poets to share their poetry on stage at coffee house sets and open mics. The performance of poetry is called Spoken Word. It’s an art form that has grown in popularity due to movies like Slam and Love Jones, television programs like Def Poetry Jam and BET’s Lyric Café, and events like the National Poetry Slam and Brave New Voices. This session talks about new movements in poetry and spoken word, the way that both can empower youth, and the way writing and performance can enhance learning and literacy. The session will include a performance. “The Popular Classroom: Integrating Popular Culture” focuses on strategies for utilizing Popular Culture in the classroom. During the session, participants will be introduced to and discuss various ways of using popular culture as a teaching tool, models and approaches to integrating popular culture into curriculum, interdisciplinary approaches to lesson creation, and tactics for research gathering and use of information. The goal of the session is to encourage the use of popular culture as a way of fostering critical thinking and increasing student engagement in writing assignments. 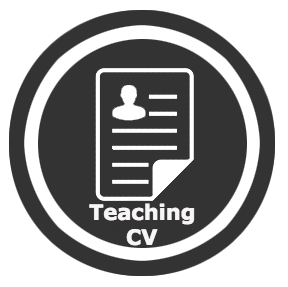 Participants will be introduced to a methodology of analysis that can aid in lesson planning. “Look at Me Now: Uncovering the Subtle Narratives about Identity in Popular Culture” examines the subtle narratives about identity that exists in popular culture today. Highlighted in social media, music, art, and the poems of today’s generation of wordsmiths, there is an ongoing dialogue about roles, tradition, perceptions of masculinity and femininity, and culture being had across the globe. What is being said? What can we learn? How does it impact academic discourse? We will not only discuss these narratives, but will also engage in activities that will highlight the audience’s own stories. “Yes, Yes, Y’all: Understanding the reach of Rap Music and Hip Hop Culture today” looks at how the culture of Hip Hop has become a phenomenon that has expanded its reach across the globe. It has impact in entertainment, fashion, politics, and now education. Rap Music has become its most valuable commodity. A major facet of mass culture, Rap Music has galvanized youth, corporations, and scholars alike. This talk analyzes the impact that Hip Hop and Rap Music is having and what it means for scholars and faculty today. The discussion will focus the growth of Hip Hop and Rap Music as precious capital. “A Pen in Wonderland: Wonderment, discovery, and the developing writer” takes a look at the process of writing and my experiences in mentoring and teaching young writers. How do we empower writers to take control of their writing? How do we foster an appreciation of process? How do we expand their thinking in ways that offer them the greatest breadth of possibility? I believe the answer is in valuing wonderment and instilling and nurturing a sense of discovery. Filled with anecdotes and theory, this talk is for writers and writing educators alike. “The Green Lantern Effect: Courageous Creative Expression” looks at what it means to be an artist? How do you sustain your passion in the face of obstacles? How do you gain the confidence and self assurance to share your creativity with the world? This talk focuses on the importance of courage in being an artist and what it means to be vulnerable in order to serve your purpose. This is explained through the frame of the Green Lantern and the Green Lantern Corps, guardians of the universe. 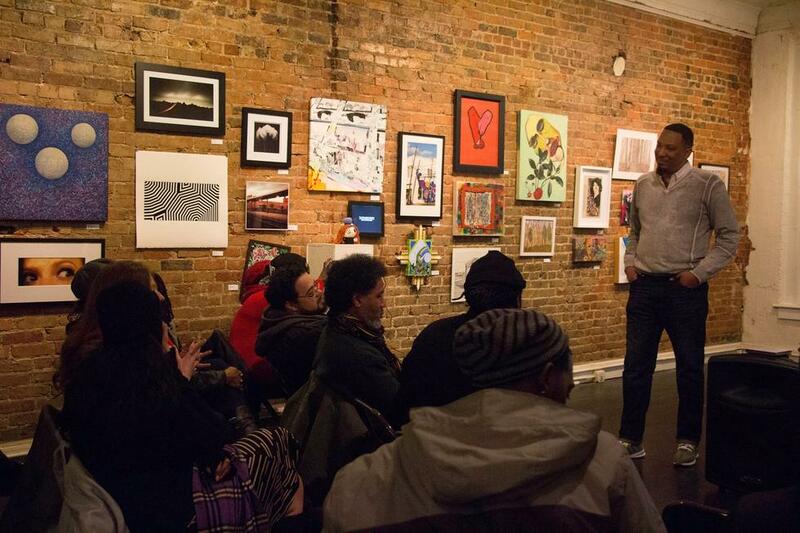 “The Art of Spoken Word” looks at the growth of the art of performance poetry. It can be emotional, inspirational, educational, and as creative and expressive as your imagination. It can also be a tool for healing and growth. This talk examines how poets put their thoughts and ideas down on paper and how they make them live on stage. Participants will be exposed to various poets and their poems. It includes a performance by the presenter. “A World of Words: Writing from a Documentary Perspective.” Writing is more than just text on a page. It is as creative and expressive as your imagination. When you think of documentary work, do you think of creative writing? Do you write, work with photos, video, audio, or are you new to documentary work? In this workshop, we will discuss the different ways writing can be used as a documentary tool. From oral histories and narratives to poetry, this course examines the possibilities of including creative writing and other forms of written expression to convey your ideas. We’ll discuss the development of stories from images and explore a nonlinear approach to storytelling. We will examine how to convey your work to others, from visual presentation to performance. Regardless of your background, you will find new uses for writing in documentary work. You will also gain insight on how to complete work that may be presented individually or included in an ongoing documentary project. “The Happening.” A poetry writing and performance workshop that seeks to encourage and foster creative expression through spoken word. This workshop examines how to put your thoughts and ideas down on paper and how to make them live on stage. Participants will engage in writing activities that will broaden their approach to writing while giving them tools to use when developing their ideas. They will be introduced to various techniques and literary devices and will examine models from poets across generations. The participants will also engage in performance activities. These activities will help each participant to bring their poems to life on stage. The Happening is an opportunity for networking, growth, and development for anyone who has a message they want to deliver and ideas they want to put on the page. The only requirement is enthusiasm, an open mind, willingness to learn, and a love of words. Why The Happening? This workshop is called “The Happening” because it incorporates everything the writer comes into the workshop with to craft poetry. In order to improve performance each participant is encouraged to consider aspects of self, space, and audience. These aspects are analyzed, examined, and discussed. The workshop itself is a happening. It is an unfolding narrative that each participant will write as they explore their own voice and approaches to crafting poems. Their interactions will give each participant multiple lenses to see an idea through. Through a variety of activities the participants are sparked to create and to believe that the best muse is “real” life. They will find that writer’s block is a covert conspiracy by the establishment and rebellion is with a pen. What Happens After? The workshop will conclude with a reading highlighting new or already completed works by the participants. This allows them to utilize the tools developed and approaches discussed during the workshop. Participants will be encouraged to share, but not required. This also includes a performance by the facilitator. For inquiries, bookings, or more!